I am sure every parent will identify with what I’m about to say. Mornings are a race against time, especially where children are concerned as they take almost twice the time to do everything. From waking them up to sending them to school you are on a shoe-string ‘time’ budget practically every day. No matter how early I wake up, there is always something I have to ask my husband to do. The one task that I assign to him is to make sure #PrincessHeer finishes her glass of milk. Trust me that is by far the toughest task these days. My husband has amazing patience with our daughter and it completely baffles me with the variations he includes in her milk by way of flavours and tidbits. But still, the time she takes to finish a glass of milk is way too much. But luck was on our side and princess discovered Sipahh during a stroll in the Uppercrust Show in Mumbai last weekend. Have you heard about Sipahh Flavoured Straws? Sipahh is pure magic! They are flavoured straws that make milk more delicious and drinking milk more exciting. 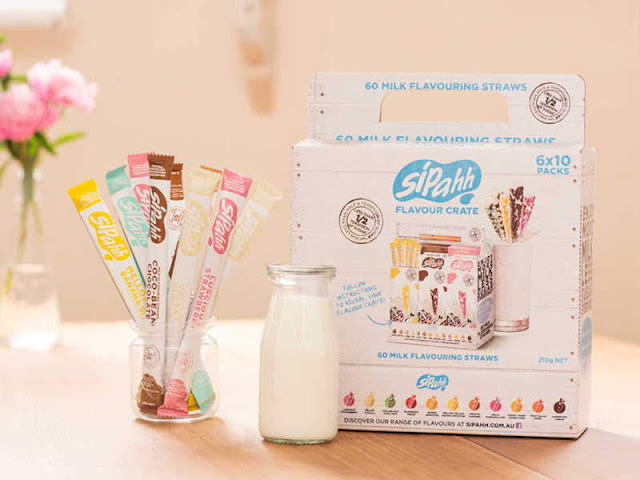 Sipahh straws invented by an Australian father Peter Baron who wanted to ensure his kids get the wholesome goodness of milk without the artificial flavours, colouring and sugar; turns plain milk into flavoured milk. The straws have flavour coated beans inside which when sipped on, mix with milk to give some amazing flavours. Currently, there are 12 flavours available. PIP a flavour from the pack - RIP open the straw - DIP it into the milk - SIP away your flavoured milk! 1. It can be used in milk and milk substitutes; namely soy milk, almond milk and even yoghurt. 2. It has no artificial colours and flavours; and no preservatives. 3. It keeps the wholesome goodness and nutritious value of milk intact. 4. It contains less than half a teaspoon of sugar per straw. 5. It is individually packed, making it convenient to carry around. 1. It turns milk into flavoured milk. 2. It has a lot of flavour options to choose from. 3. It allows multiple flavours to be used at once. It is a really great product for kids who are fussy milk-drinkers and even for those kids who have allergies and intolerances as the straws are compatible with substitutes as well. In India, Sipahh is available in most modern hypermarkets and on BigBasket and Amazon India. 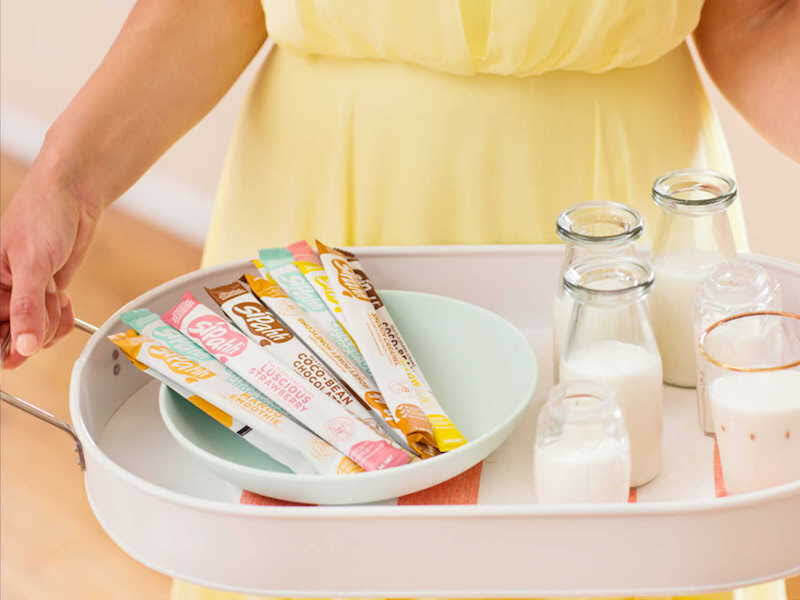 Now no more running behind your baby, just give them the Rip-Dip-Sip Sipahh and be assured you will never have to say, ‘Finish Your Milk’.